The design attributes of “Nafkrati “—straight sheer, long waterline, powerful 9/10ths rig—add up to a practical compromise between comfortable cruising and performance sailing. 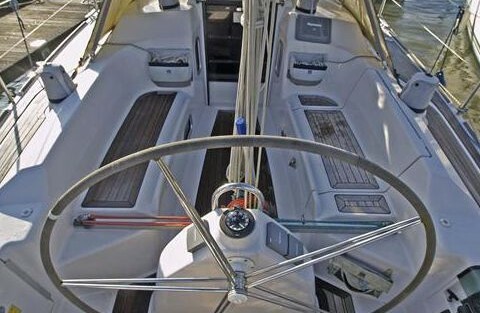 For example, “Nafkrati’s ” relatively light displacement and 737-square-foot working sail plan give her a sail area-to-displacement ratio just over 21 and the ability to scoot in the 10- to 12-knot conditions so commonly found in summertime coastal sailing in the Aegean. Under sail, the “Nafkrati” comes into her own. 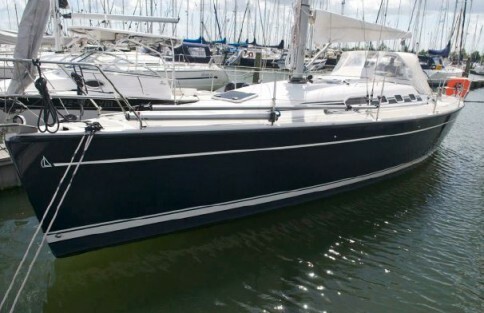 Her 414-square-foot mainsail proves to be an asset on and off the wind. 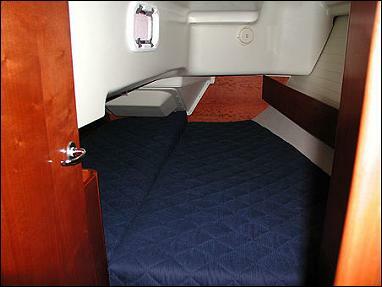 There’s enough power from the big main and 140-percent genoa to keep the boat going in light air, even as the wind falls aft of the beam. In 8 to 10 knots of true wind, we close-reached at 6 to 7 knots. 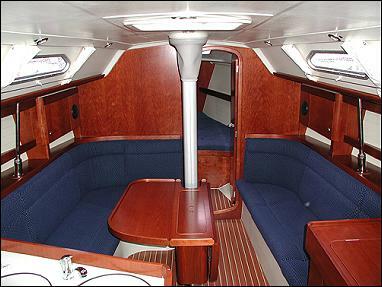 The reefing system on this big main is efficient—a good thing, as it should get a lot of use. The Judel/Vrolijk design team has succeeded in blending the performance characteristics of a club racer with a cruise package. This marriage results in a versatile 36-footer that’s fast and fun as well as comfortable to cruise close to home as well as farther afield.